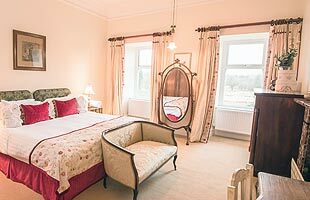 The Springkell bedrooms have to be seen to be believed. That’s what brides, grooms and guests say. All fourteen bedrooms are unique. They are all individually furnished by the Interior Design Company who furnishes the Goring in London where Catherine, Duchess of Cambridge stayed the night before her wedding! 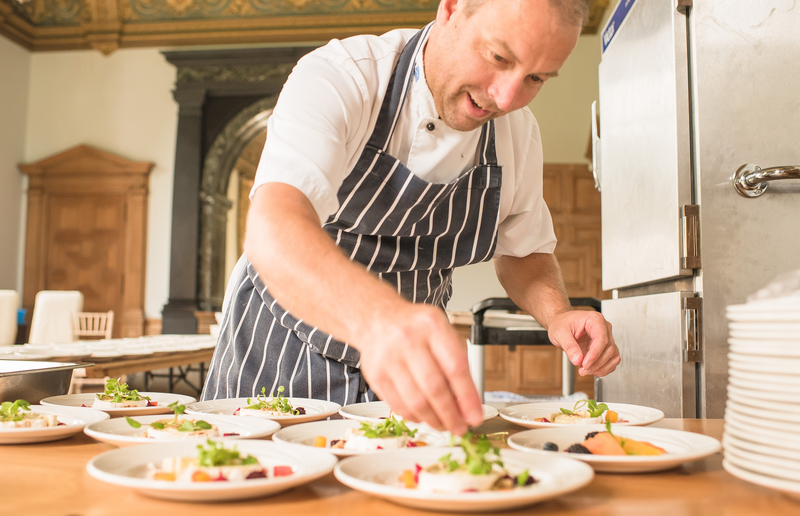 ‘They look so much nicer than in the pictures and they looked great on the website’; I hear that again and again. Stunning Fabrics combined with the most comfortable mattresses by Hypnos in the UK make for a truly special night for you and for all your friends and guests. Believe it or not we have eight emperor beds which measure 2 metres by 2 metres which in old money is bigger than 6 foot 6 inches square – massive in other words. You won’t notice how big they are as the rooms are gigantic too. Not all of them but most of them. Some of the bedrooms are larger than some of the visitors apartments and I’m not joking. 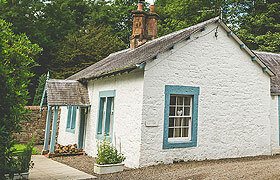 There are another four bedrooms in the cottages too only 50 metres from the main house. 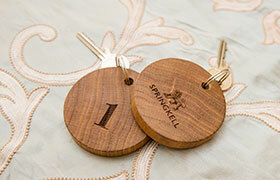 Carved oak room keyrings, Springkell mugs, Border biscuits, Still and Sparkling water, coffee, tea and hot chocolate all combine to offer you and your guests perfect luxury. I think I forgot: there are at least two luxury white towelling dressing gowns, two pairs of luxury white waffle slippers and a multitude of thick luxurious freshly laundered towels in every room. Enjoy the Wedding, Enjoy the Party and when it’s over Enjoy the Night.